So you’ve found the piece you like! You can very easily make your payment online when viewing the artwork. However, first we recommend that you Contact Us. It is important that we understand your stretching, delivery, freight and insurance needs so that everything goes smoothly for you. In certain cases delivery and transaction charges, in addition to the quoted purchase price, will apply. We will contact you if necessary about this. Make sure you also read our Shipping Policy. Credit card payments may be made online or by phone to the gallery. Online credit card payments are processed through our secure payment gateway, over the phone or through Paypal if you prefer. Just click the "Add to Cart" button next to the artwork and you can select your payment method when you're ready to checkout. Simply click on the "Add to Cart" button next to the artwork on our website. You can select your payment method when you're ready to checkout. It is not mandatory for you to have a PayPal account to make a payment using a credit card. If you are not yet a member of Pay Pal, you will be given the opportunity to join during the process. 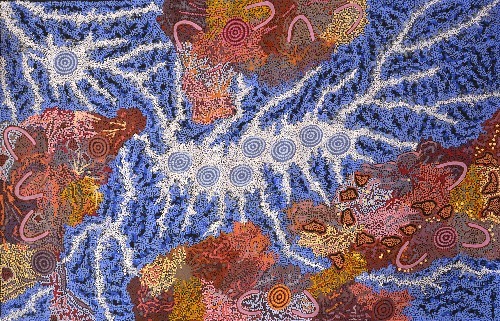 Post bank or personal cheque to the Kate Owen Gallery, 680 Darling Street, Rozelle, NSW 2039 Australia. Once our bank has cleared the cheque, we will prepare the work for delivery or collection. If you are outside Australia, you will also need the bank’s SWIFT CODE which is NATAAU3303M. Our IBAN is 082125944717615. Branch Details: 265 Darling St, Balmain NSW 2041, Australia. Please Note: Art will not be released unless the inward transfer, net of fees at both ends equals the amount payable. Contact us to discuss the method of payment you prefer. Your artwork will be despatched to you (or ready for collection) as soon as funds are cleared in our account and your delivery instructions can be met. Your receipt and tax invoice will be posted to you with the work. Certificates of Authenticity may either be shipped with the work or follow within the next two weeks. We guarantee all our artwork. If you have changed your mind, are unsatisfied with the work you have purchased or feel the artwork has been inaccurately described, you must inform us of any claim for a refund within 14 days of delivery. Please note that all images are carefully photographed in order to portray the pieces as accurately as possible. Where available, photographs of the artist creating the work and of the artist with the completed work will also be provided. If you have any questions, please Contact Us and one of our friendly staff members will assist you.